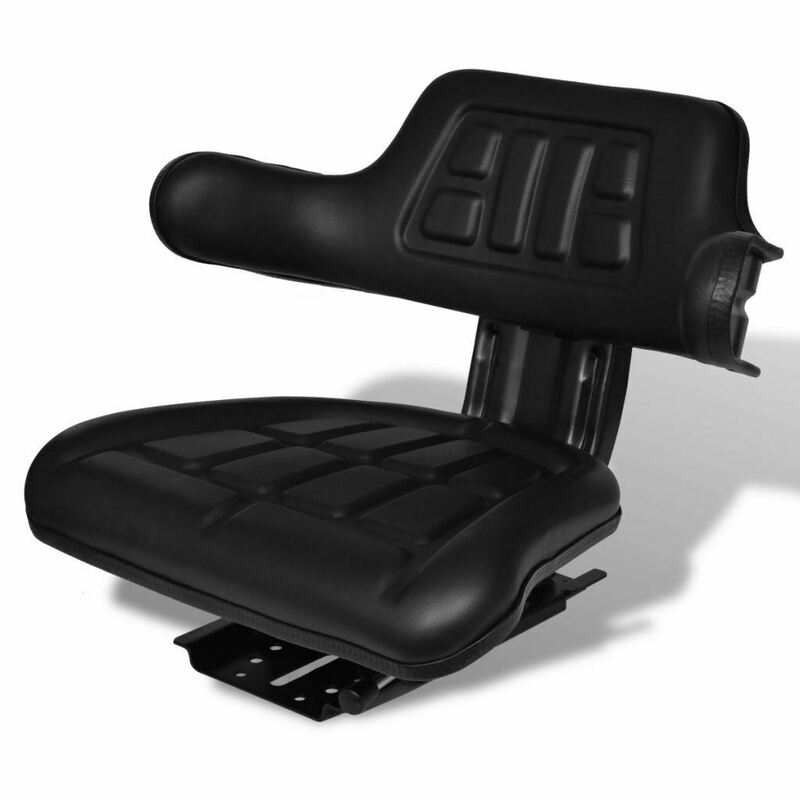 Amy recommendations on a rain proof aftermarket open station tractor seat? I needed a seat for an ol Massey 245 one day, walked into Tractor Supply and bought one. Most comfortable seat I've ever had on an open station tractor. There wasn't a name brand on it, and I've never found another one just like it. Must have been to comfortable for farmers. Depends how much you want to spend. You can go from $40 up to $2000 and as price goes up comfort goes up. I had the el chepo you show there on my 3020 it lasted about a year before needing to be re upholstered in duct tape. j_20 wrote: I had the el chepo you show there on my 3020 it lasted about a year before needing to be re upholstered in duct tape. I have the same one. With the same upholstery. Even when new, the stitching issn't waterproof. So though the seat looks dry, when you sit on it the water comes out of the cushion through the seems and you get a wet azz. jltrent wrote: Depends how much you want to spend. You can go from $40 up to $2000 and as price goes up comfort goes up. I don't think the cloth air ride seat is a good fit for an old open station tractor. What about the pan seat? Can you handle it? Last edited by jltrent on Thu May 17, 2018 2:05 pm, edited 1 time in total. What about the pan seat? What more could a farmer want it even has drain holes. Just in case an old fella springs a leak while plowing? Stocker Steve wrote: Amy recommendations on a rain proof aftermarket open station tractor seat? Google 'Big Boy tractor seat'. Northern tool carries them. Much heavier duty and padded than the standard replacement pictured above. Worth the extra money. I'm an El Cheapo owner also. It's a replacement that's been on a couple of years now and still giving me good service. I just wished it came with a seat belt. I need a really small el cheapo for my backhoe. Any thing bigger hits the steering wheel when I pivot around to use the rear hydraulics. Thinking about adapting a riding mower seat.. I just bought 2 suspension seats with back and quasi arm rests from TSC. Perfect fit for my 2000 and 3000 Fords. Had blue to match my colors. 100 bucks and ride smooth. Same seat is on the internet for 90 plus shipping. The seat is vinyl, adjustable tension, drains for rain runoff and foam padded. I have an OEM Branson air suspension seat in my 6530c and it's cloth. As others have stated, made for a cab, not open station but is very comfortable and smooth.